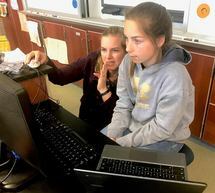 The State Board of Education requests input from educators to identify possible impacts on curriculum and instruction of the Proposed 2019 Wyoming Computer Science Content and Performance Standards. Input from educators will be gathered through an educator online survey through February 26, 2019. The Wyoming Department of Education will also collect input from stakeholders through a public online survey and regional meetings. The public survey is open through March 5, 2019.
the review timeline, and a question-and-answer session. The remainder of the meeting is dedicated to collecting public input. A summary of the public input gathered during these meetings will be presented to the State Board of Education at its March meeting. If the Board moves to adopt the draft standards, an additional public comment period will follow before the new standards are adopted. barb.marquer@wyo.gov, or Brian Cole, Math/Computer Science Consultant, at 307-777-5036, or brian.cole@wyo.gov. Registration is open for the 2019 Roadmap to STEAM Conference. The mission is to deliver a high-caliber professional development opportunity focused on hands-on learning experiences with high-level engagement and innovative STEAM best practices and instructional strategies. WDE issued a call for presenters and exhibitors. 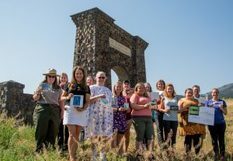 Yellowstone Forever, a partner with Yellowstone National Park, helps teachers discover innovative ways to incorporate STEAM into their classrooms. 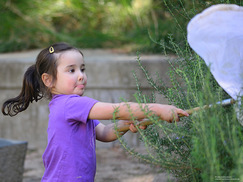 During the day, attendees of this workshop will participate in hands-on activities amid the park's natural wonders during the day. In the evening, guest experts will further integrate art with STEM in a variety of learning styles. The Wyoming Department of Education issued a call for presenters for the 10th annual Native American Education Conference, August 7-8, 2019, at Central Wyoming College. 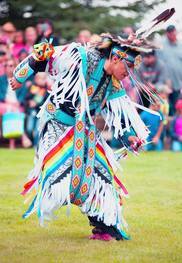 The mission of the conference is “Instill pride and strengthen engagement in youth through Native American history and culture.” Workshop presentation topics sought include suicide prevention, cultural sensitivity, empowering Native youth, understanding Wyoming tribes' history and culture, and many more. Those interested in presenting a breakout workshop must complete this survey by March 31, 2019, to be considered. The Ucross Fellowship for Native American Visual Artists supports the work of contemporary Native American creatives at all stages of their professional careers. Artists from all disciplines may apply for a fellowship including but not limited to painting, sculpture, printmaking, photography, video, performance art, installation and ceramics. 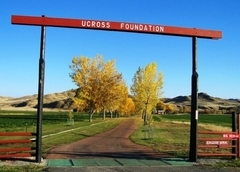 The fellowship will provide up to a one-month residency at Ucross and a stipend of $2,000. The 4th annual Wyoming English as a Second Language Conference aims to provide forums for disseminating and sharing information among K-12 teachers, dual language immersion, and ESL teachers, administrators, community program teachers, and graduate students involved in teaching English as a second language and dual language. Contact Dr. Jenna Shim at jshim@uwyo.edu or Kim Jones, kim811@myncsd.org. Wyoming PBS introduced a new series, “Main Street Wyoming: What’s in a Name?" 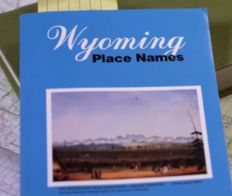 In the series, UW professor Phil Roberts explains how Wyoming towns got their names. Lesson plans and resources are included. A five-minute introductory clip discusses how early explorers first named the rivers, streams, and mountain ranges and passes of Wyoming. 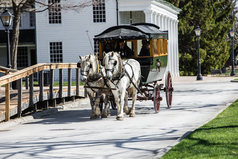 Discuss your passion for American history and technology with distinguished university professors, take field trips to more than a dozen historic farms, mills and laboratories, and spend your afternoons planning activities for your students. This National Endowment for the Humanities workshop at The Henry Ford in Dearborn, Michigan, explores America’s Industrial Revolution. Participants who teach science, engineering, or technology in this period of American history will discover concrete examples of the concepts they teach. Workshops will be held June 23–28 and July 14–19. Participants receive a $1,200 stipend to cover travel, meals, hotel, and other expenses. The Gilder Lehrman Institute of American History recognizes exceptional K–12 American history teachers across the country. The national winner is chosen from among state winners and receives a $10,000 prize and will be honored at an award ceremony in New York. The American Lawyers Alliance award recognizes the vital role teachers play in law-related education. Elementary, middle and high school teachers are encouraged to apply for the $1,500 award which will be presented at the ALA's annual meeting in San Francisco in August. An additional $500 for hotel and travel expenses will be given to each recipient who attends the awards ceremony. 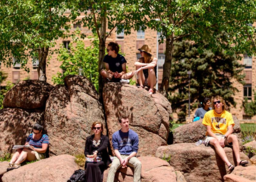 A two-day workshop will focus on history, geography and current issues. Social studies and ELA teachers and librarians are invited. The program is sponsored by Brown University's Choices Program and co-sponsored by Qatar Foundation International and the Wyoming Geographic Alliance. Participants will be immersed in the program’s units The Middle East: Questions for U.S. Policy and Nigeria: History, Identity and Change and also hear about local resources. 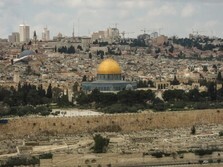 The Institute for Curriculum Services offers a free online seminar on Teaching the Arab-Israeli Conflict with Primary Sources. The first 50 educators to complete the seminar will receive a $75 stipend. 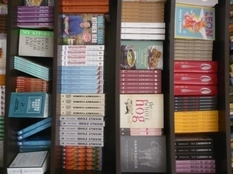 The course includes five video modules. The National Geographic Society is offering four free online courses for teachers and administrators: 1) Educator Certification, 2) Geo-Inquiry, 3) Climate Change, and 4) Service Learning. Enrollment ends February 22, 2019, for all but the Educator Certification course, which ends March 1, 2019. The society is also offering a chance for students to learn about National Geographic Explorers. 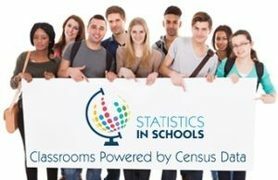 The U.S. Census Bureau offers a variety of materials and lesson plans for K-12 teachers in history/social studies, geography, math, sociology and English. The bureau bolsters activities to promote the value and everyday use of statistics. 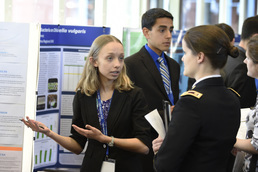 The Junior Science and Humanities Symposium, March 22, 2019, in Laramie, gives high school students the opportunity to present their scientific research in front of an audience much like at a professional science meeting. Students grades 9-12 must submit their materials and register by March 1 and email their abstract and research paper to Dr. Jonathan Prather at Jonathan.Prather@uwyo.edu. Regional winners will be invited to compete in the National Symposium April 24-27, 2019, in Albuquerque, New Mexico. 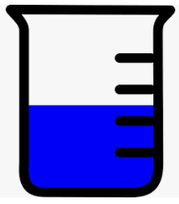 Teachers can receive ACS-Hach High School Chemistry Classroom Grants to support ideas that enhance classroom learning, foster student development and reveal the wonders of chemistry. Grants of up to $1,500 can be requested. InvenTeams are teams of high school students, teachers, and mentors who receive grants up to $10,000 each to invent technological solutions to real-world problems. Each InvenTeam chooses its own problem to solve. 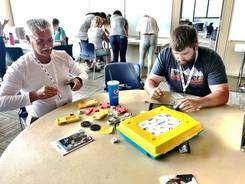 Educators selected as finalists attend EurekaFest at MIT in June. 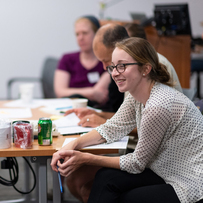 At this American Meteorological Society (AMS) workshop, participants learn the physical foundations of oceanography, explore how the concepts can be employed in the classroom, and prepare workshops for teachers in their home regions to disseminate these ideas. 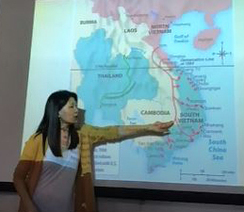 Participants attend a two-week workshop at the U.S. 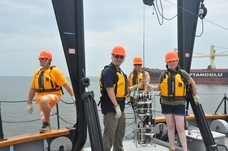 Naval Academy in Annapolis, Maryland, July 14-26, and learn from Navy faculty members, NOAA scientists and other professional science educators. Attendees receive graduate credit, a $600 stipend, lodging, meals, travel funds, tuition, and instructional materials. 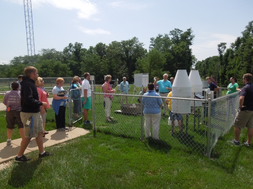 The American Meteorological Society offers a workshop for K–12 educators who teach science courses with atmospheric content. The workshop introduces participants to the latest technologies for sensing, analyzing and forecasting weather and how to incorporate them in the classroom. Online learning modules must be completed before attending the workshop July 28-August 3 at the National Weather Service Training Center in Kansas City, Missouri. Participants receive graduate credit, a $300 stipend, lodging, meals, travel funds, tuition and instructional materials. 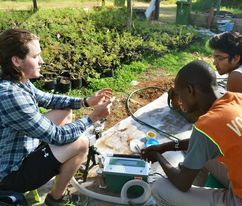 Afterward, they are expected to conduct training sessions for pre-college teachers in their home regions, supported by the Meteorological Society. The Aircraft Owners and Pilots Association (AOPA) and the Ray Foundation offers $10,000 flight-training scholarships to 80 high school students. Recipients may use the funding for direct flight training expenses to pursue a primary pilot certificate. They must also complete a flight training milestone, either attaining solo status or earning a primary pilot certificate within one year of receiving a scholarship. The Entomological Foundation funds requests submitted by K-12 teachers and other educators who use insects in the classroom as a way to excite youth about science education. 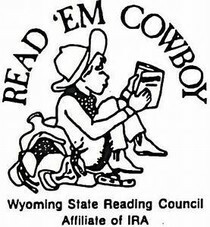 Sponsored by the Wyoming Library Association and the Wyoming State Reading Council, the Buckaroo Book Award provides Wyoming students in grades K-3 the opportunity to vote for their favorite nominated book. 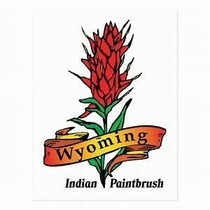 Sponsored by the Wyoming Library Association and the Wyoming State Reading Council, the Indian Paintbrush Book Award provides Wyoming students in grades 4-6 the opportunity to vote for their favorite nominated book. 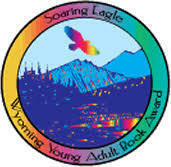 Sponsored by the Wyoming Library Association and the Wyoming State Reading Council, the Soaring Eagle Book Award provides Wyoming students in grades 7-12 the opportunity to vote for their favorite nominated book. 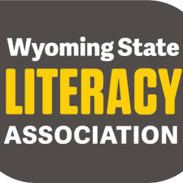 The Wyoming State Literacy Association offers a $300 Challenge Grant to support educator efforts to develop and use new and innovative reading curriculum programs in the classroom. The goal is to challenge teachers to reach their highest degree of competency in reading instruction. The 11th annual Doodle for Google art competition is open to students in grades K-12. The theme is “What you hope for when you grow up.” The winner will receive a $30,000 college scholarship and $50,000 in new technology. 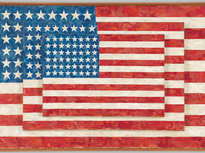 The National Art Education Association Convention is one of the largest gathering of visual arts education professionals. Art educators can select from several engaging and informative sessions, workshops, tours, events, and exhibits. Educators can connect and network with other art colleagues from around the world. The Pilcrow Foundation, a national nonprofit public charity, provides a 2-to-1 match to rural public libraries through its Children’s Book Project. Libraries that contribute $200 to $400 through local sponsors can receive up to $1,200 worth of new, quality, hardcover children’s books.